Let’s suppose that some extra terrestrials in their cosmic retreat receive a transmission launched into space in the 80s, a dark new wave song packed with synths, sung in Robert Smith’s lowest octave and drowned in the heavy intensity of Joy Division. Captivated by the sound, they travel toward Earth in a journey that takes them 30 years: when they arrive, they discover that because of some strange time warp they received a song that was released thirty years earlier. It is called Dot In The Sky, it was written by Andrew Clinco, between books on obscurantism and his studies on UFOs. Or more precisely Deb DeMure was responsible, his pandrogenous alter ego that leads new wave with Drab Majesty. The mystical performances put on by DeMure and Mona D are extra sensorial experiences, people mutate into pallid statues and the stage is enveloped in mystery. 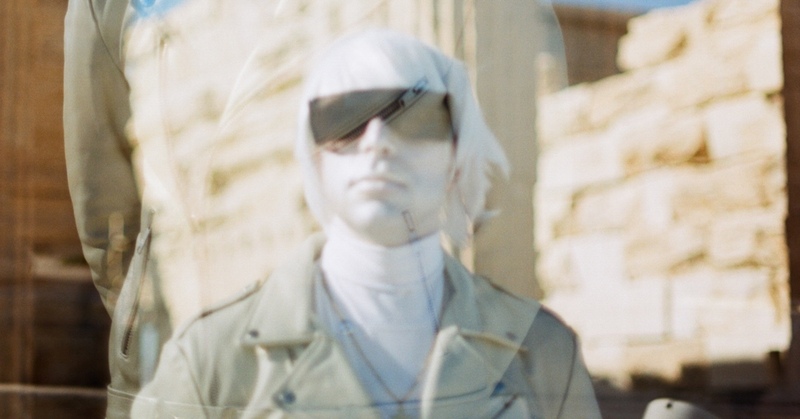 Only when the UFO visitors get back to their planet will they realise that Drab Majesty... actually came from there.